Constructed on the great rock of the Acropolis which rises more than 500 feet above sea level and dominates the town of Athens below. Built on the site of earlier structures between 447 and 438 BC the columns measure little over 34 feet. 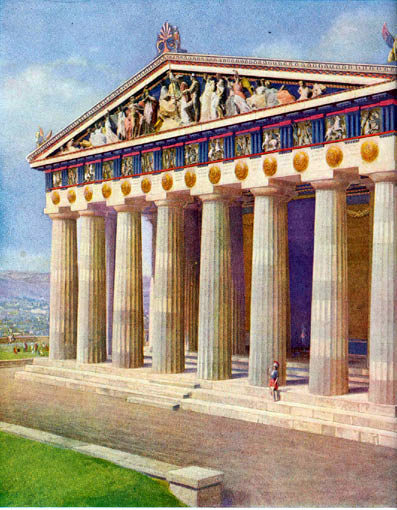 The temple is dedicated to the goddess Athene, whose fabulous statue stood in a commanding position against the backwall of the the inner structure.